Check out some of the reasons why Wessex Care is a great employer and is providing quality care. Working as a Community Support Assistant with Wessex Care, you will be required to individually manage a case-load of allocated customers. You will be expected to build positive, enabling and motivating relationships with your customers and support them in all aspects of daily living which means you will be required to carry out a varied range of day-to-day care tasks within customers' own homes. Working as a Welfare Assistant with Wessex Care, you will be required to co-ordinate activities, social events and trips out for residents in the assigned Care Centre and to support other Welfare activities across the company. The role involves establishing individual interests/hobbies of residents and ensuring that social histories are obtained from residents and families where at all possible. 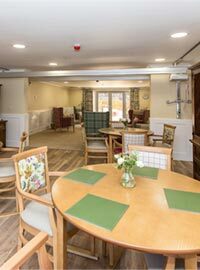 As well as client-centred care within our care homes environment we also recognise the need to provide a service in the community. For those wishing to stay at home, we also provide practical, dependable community services – taking care of every day essentials to enable people to retain their independence. Wessex Care is a small, family-run group of five care homes in Salisbury, with a distinctively different approach to looking after older people – offering them a home in the real sense of the word, where everything that's done is focussed on their needs, where the care and support is everything they deserve and they can lead their everyday lives just as they wish. We are the largest supplier of nursing and intermediate care beds in South Wiltshire, working closely with Wiltshire Council and the Wiltshire Care Commissioning Group (CCG) to support hospitals and the NHS. Uniquely, we also offer domiciliary care with a comprehensive range of services to enable people to retain their independence and continue living in the community. A second purpose-built Care Centre, Kimberly East, is already under construction. Over the next few years, as part of our developing vision for the future, we will be refurbishing our existing four care homes to the same exacting standards as our new Care Centres.